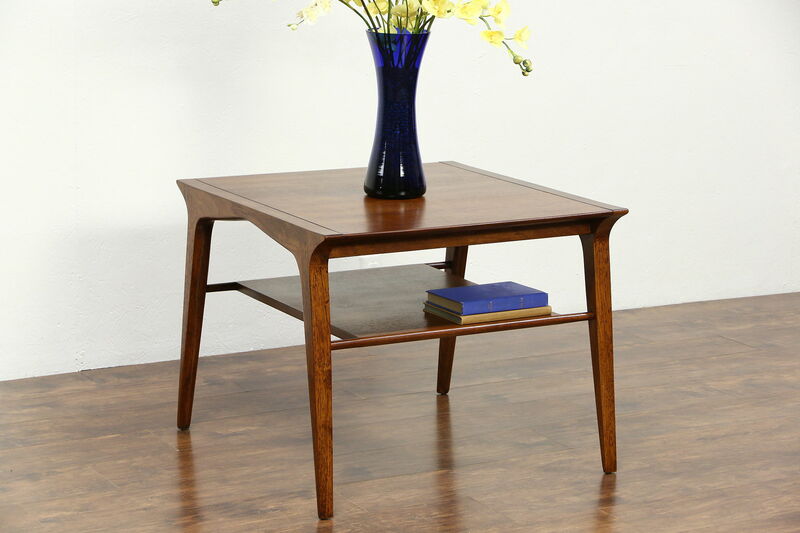 Signed Drexel Profile collection, by designer John Van Coert, this square lamp table is walnut. The glowing renewed finish is in excellent condition on this 1960's vintage furniture. Size is 30" square and 24" tall.